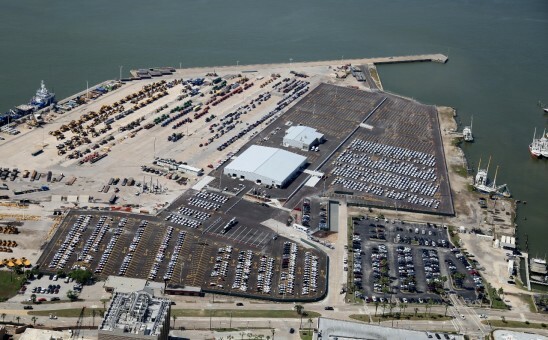 Client WWL Vehicle Services Americas, Inc.
TransDevelopment collaborated with Wallenius Wilhelmsen Logistics and the Port of Galveston for the redevelopment of an existing Port of Galveston facility into a new BMW Vehicle Distribution Center. WWL established the 20-acre facility to serve Gulf Coast markets directly, rather than from the East or West Coasts. TransDevelopment was responsible for the planning, design, and construction of the Vehicle Processing Center and combined Car Wash/Body Shop buildings. The site buildings total over 45,000 SF of specialized operating space, complete with downdraft paint booths, a conveyor car wash system, LED lighting, epoxy floor coatings, and interior office and break room build outs.